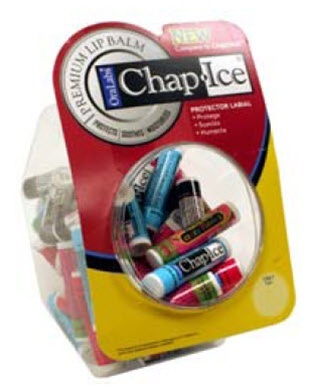 Chap Ice lip balm, 4.25gm. ( .15 oz.) per stick. There are 60 lip balm sticks in 5 assorted flavors per display.